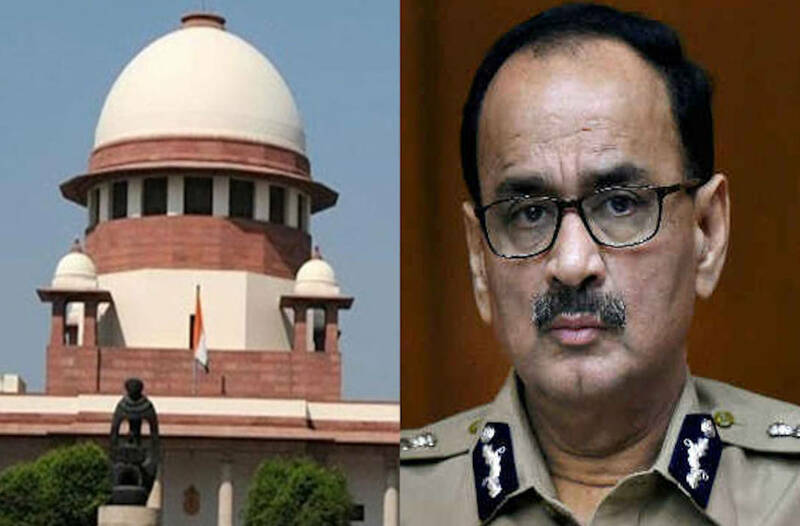 Claiming that the Centre had not violated any law in divesting CBI Director Alok Verma of his powers and sending him on leave, the Centre told the Supreme Court today (Wednesday, Dec 5) that it stepped in to save the agency’s reputation in view of extraordinary situation where the two top officers were “fighting like cats”. Attorney General (AG) KK Venugopal was arguing on behalf of the Central government before the Supreme Court bench of Chief Justice Ranjan Gogoi and Justices SK Kaul and KM Joseph which resumed hearing on Verma’s plea challenging Centre’s decision of Oct 24 to divest him of duties and sending him on leave. The bench had, on Nov 29, heard submissions from lawyers of parties who have challenged the Centre’s decision, including senior advocate Fali Nariman (for Alok Verma), and posted the case for further submissions on Wednesday (December 5). Presenting the Centre’s case, the AG said that the spat between the CBI director and his deputy, special director Rakesh Asthana was tarnishing the reputation of the country’s premier investigation agency. It became essential for the government to step in when the two top officers of the CBI were “fighting like cats”, he said. “Government of India was watching with amazement as to what the top officers were doing, they were fighting like cats,” news agency PTI quoted him as saying. “Dispute between CBI Director and Special Director was pulling down integrity and respect of the premier institution..Our main aim is to see that confidence of the public in this premiere institution (CBI) is restored,” he told the bench. The court had made it clear that for now it was not going into the allegations and counter-allegations involving Verma and CBI’s No.2 officer Asthana, both of whom have been stripped of their powers and sent on leave following their bitter feud. Today, KK Venugopal reiterated his assertions made during the last hearing in the case, that the Centre had not violated any law while sending Verma on leave. During the last date of hearing, Venugopal had proceeded on the premise that the selection committee for appointing the CBI director was mandated to recommend names for the post of the agency’s chief or transferring him but it was the Centre that was the final appointing authority. The AG, however, insisted that by not referring the matter to the CBI director’s selection committee before acting against Verma, the Centre had not erred because the selection panel must be asked to carry out an inquiry only if the government wishes to transfer the CBI chief. He said, in Verma’s case, there was no transfer and that the petitioner continued to enjoy the perks of office. Submitting that the Centre’s powers of superintendence, in its role as the appointing authority of the CBI director, Venugopal concluded his arguments. Solicitor General Tushar Mehta, appearing for the Central Vigilance Commission (CVC), picked up from where his senior law officer left off. Mehta emphasized on the CVC’s power of superintendence over the CBI director and said that the vigilance panel is mandated to oversee CBI cases registered under the Prevention of Corruption Act. He added that the Centre too was free to ask the CVC to initiate investigations against CBI officials if needed. The bench posted the matter for next hearing on Thursday, December 6. Verma’s two-year tenure ends on January 31.